The soft spoken, Sir TJ, president of BPI Family Bank. 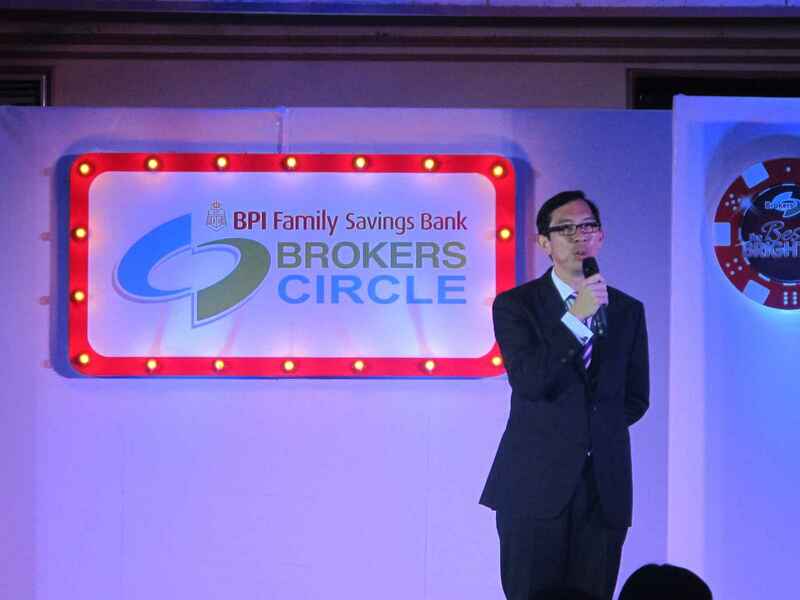 I was invited to BPI’s Brokers Circle Event held at the Waterfront Insular Hotel. It was a night of fun with good food in the company of broker friends and the officers of our country’s leading bank, the Bank of Philippine Islands. I was happy to be acknowledged as a runner up in one of their prestigious awards. To those who are reading this and have intentions of buying a property in the Philippines, BPI offers great service and low interest at this point in time. With a minimum of 6% per annum for a loan period of 1 year. And a maximum of 11.5% per annum for a 20 year loan period. You know, that’s good news. Because the minimum rate before is 9% per annum. This means that the Philippine economy is doing great in general. The banks have a lot of money to lend. Hence, the lower rates. 2) your income is more than sufficient to pay off the monthly amortization. In Davao City, these are the properties you can use as collateral. If you need assistance, email me through lea@davaoproperties.com and I’ll gladly assist you. Let’s discuss what you need and the required documents to ensure your approval. To my existing clients, thank you for doing business with me. May God bless you in your new homes. This entry was posted in Bank Loan, Davao, davao city, real estate and tagged BPI Family Bank, Getting a bank loan in the Philippines, Housing Loans in the Philippines. Bookmark the permalink.